It has been a year since the ADA Restoration Act was introduced in both the House and the Senate. The intent of this legislation was to address the interpretations of the law by the US Supreme Court that negatively impacted the ability of thousands of Americans with Disabilities from exercising their rights under the ADA. Over the past year the House has passed legislation known as the ADA Amendments Act of 2008 (HR 3195) and the Senate is in the process of considering their version of the bill (S 1881). There has been a great deal of discussion via generated on listservs, email and blogs regarding the compromise language used in the ADA Amendments Act and questions raised by advocates, members of Congress and the business community. 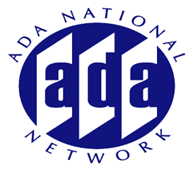 Join us for this special session of the ADA Audio Conference series to learn more about the legislation, the perspectives of the employer community and how the definition of disability would impact Title I cases of discrimination. Some of the contents of this website were developed under a grant from the National Institute on Disability, Independent Living, and Rehabilitation Research (NIDILRR grant number 90DP0091-02-00). NIDILRR is a Center within the Administration for Community Living (ACL), Department of Health and Human Services (HHS). The AccessibilityOnline program is funded through a contract with the U.S. Access Board. The contents of this page does not necessarily represent the policy of NIDILRR, ACL, HHS, or U.S. Access Board and you should not assume endorsement by the Federal Government.